A garnishment is a legal order that a creditor can get requiring someone other than the borrower, such as a bank or an employer, to pay the borrowers debt if the borrower is not making the payment. Before obtaining the garnishment, a creditor has to file a lawsuit and prove that the debt is in default and is due. This lawsuit has to be personally served. It can not simply be mailed to the borrower. If you are served with a lawsuit, you should answer it within 20 days or the creditor can get a default judgment against you. Once the creditor obtains a judgment, they can take the money out of a bank account or garnish 25% of your take home pay. By answering the law suit, you can buy yourself some time. A bankruptcy will stop a garnishment immediately. Often you can recover garnishments made in the last 60 days. Sometimes a creditor can freeze a bank account pending the judgment. If you are able to file a bankruptcy while the bank account is frozen but before the judgment, you can stop the bank garnishment all together. If your wages or bank account are garnished by mistake after you file a bankruptcy, you can get the money back. If the creditor knew about your bankruptcy and garnished anyway, you can sue the creditor for violating the automatic stay in bankruptcy. A garnishment can have a devastating effect on your finances. If you are falling behind on loans, take any threats of a lawsuit or actual lawsuit very seriously. It is better to deal with the situation before you are garnished. 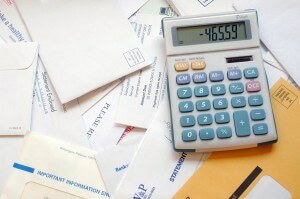 Once a bank account is emptied, or 25% of your paycheck it taken, it is very hard to recover. You may not have the money to pay for a bankruptcy. However, do not think all is lost if you are in the middle of a garnishment. You can still file bankruptcy, stop the garnishment and get a fresh start. Contact the experienced bankruptcy lawyers in Tacoma, Washington with any questions about garnishments.